Helinet pilot Jay Stowells flies the late shift in Air 7 HD. 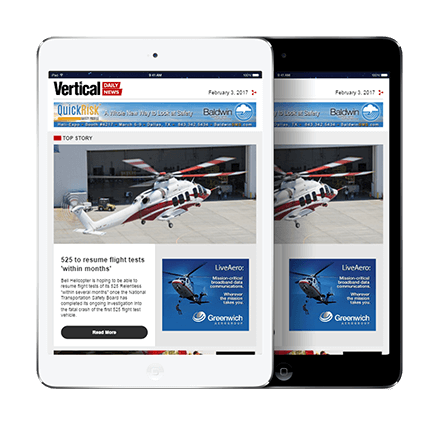 Most people in the helicopter industry have heard of Helinet Aviation Services, but for different reasons. Some people know this Southern California company as the aerial film operator behind dozens of Hollywood blockbusters, from Transformers to Die Hard. Others know it as a longstanding electronic news gathering (ENG) provider that, at one point, was one of the largest ENG operators in the world. Still others know it as the parent company of Helinet Technologies, a provider of microwave downlinking and other technology solutions that is quietly revolutionizing the airborne-law-enforcement industry. Helinet Aviation is all of these things and more including a VIP charter operator, a niche emergency-medical-services provider and a critical link in Southern Californias organ transplant system. Were really diverse, said company president Alan Purwin, commenting on the companys spectrum of operations. Not only is Helinet diverse, its also nimble and not afraid to re-invent itself to pursue new opportunities in the marketplace. However, as much as Helinet has evolved over the years, one aspect of its identity has remained the same: its made up of people who care. We care a lot about what we do, remarked Purwin. Its not all about the revenue. . . . We really want to be as perfect as we can at what we do. We want to make the world a better place however we can. 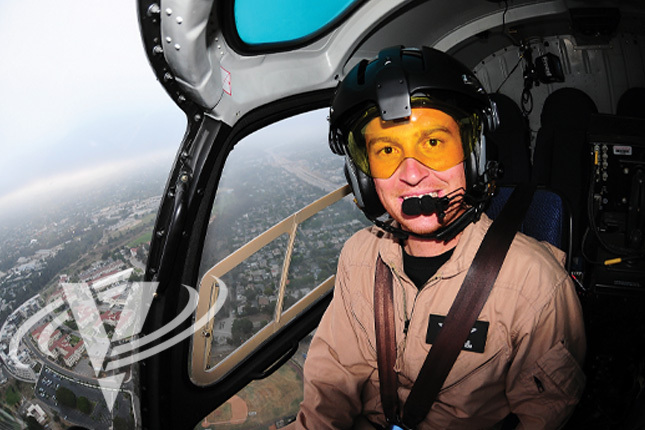 Alan Purwin was born into a family love of aviation: his father was a pilot, and he grew up hanging around the Van Nuys Airport in Van Nuys, Calif., where Helinet is based today. Purwin got his fixed-wing pilot certificate while still in high school, then moved into flying helicopters. After cutting his teeth as a crop duster in a Hiller helicopter, he landed a job flying Airwolf: the Bell 222 in the television series of the same name. The job was his entry into production work and also into the Screen Actors Guild an essential membership in the closed and highly competitive world of Hollywood film work. In 1984, Purwin was hired to fly a camera ship for ABC Sports during the Summer Olympics in Los Angeles, Calif. That was my introduction to flying a camera, which I really liked, he recalled. From there, he continued to build his experience as a film and camera pilot and in 1987 founded West Coast Helicopters with a Bell 206L. The company took on a variety of work, including managing a Eurocopter AS355 TwinStar for the chief executive officer of a Fortune 500 company. We just kind of did whatever we could do to keep blades turning, Purwin recalled. One of West Coasts first and, ultimately, most important customers was Cedars-Sinai Medical Center, which tapped the company to provide transportation for its organ transplant teams. Although organ transplants were becoming more common, the logistics were still daunting: donors and recipients were frequently separated by hundreds or thousands of miles, and surgical teams might have only hours to harvest an organ and return it to the hospital where the transplant would be performed. It became obvious that helicopters and chartered jets would be essential in keeping transportation time to a minimum. It was an industry that was just getting started, remembered Purwin. We did one of their [Cedars-Sinais] very first heart transplants. Soon thereafter, Purwins company began doing similar work for UCLA Medical Center; today, Helinet flies organ transplant teams for hospitals throughout Southern California. Thanks to the extensive network of contacts it has built up over the years, it also takes the lead in arranging their jet and ground transportation. According to Purwin, in over 20 years of flying such calls, the company has never negatively impacted the outcome of a lifesaving mission. In 1991, West Coast Helicopters secured its first ENG contract, with local TV station KTLA. It would prove to be the beginning of a long relationship with the station and the first step toward an eventual ENG empire. The ENG industry itself started to take off around the time that Purwin acquired Southern California helicopter operator Helinet Aviation in 1998 (he then merged Helinet with West Coast Helicopters, and began to operate exclusively under the Helinet name). Purwin saw an opportunity to further market the successful turnkey solution that Helinet was already providing in Los Angeles: rather than just a helicopter, Helinet began offering news stations across the country broadcasting equipment and technical support, as well. We changed the model with that, said Purwin. We were the first company to package everything together. Helinets executive vice-president, Alex Giuffrida, first joined the company in 2003, when the ENG boom was well under way. In 03, news was going through an explosion, he recalled. We had contracts all over the U.S. That same year, Helinet acquired Cineflex, a startup company that had developed a new, gyroscopically stabilized, high-definition (HD) camera system for use in aerial filming. Helinet grew the company, bringing it from zero revenues in 2003 to multi-million dollar revenues in 2007. It also leveraged the Cineflex cameras outstanding image quality and capabilities to distinguish itself in the broadcasting market: becoming the first operator to downlink HD video live, for example. At one point, Helinet had close to 30 ENG contracts throughout the United States. By 2007, however, Purwin had come to believe that the sectors best days were behind it. Costs for maintaining satellite bases were rising, and profit margins were shrinking. 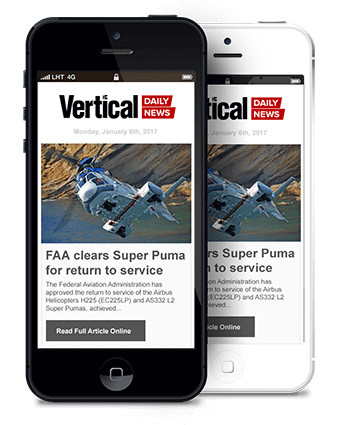 Moreover, the Internet was beginning to challenge the dominance of traditional media outlets, including TV news stations. In 2007, Helinet sold Cineflex to Axsys Technologies (which was acquired by General Dynamics in 2009). Shortly thereafter, it sold the vast majority of its ENG helicopters and contracts, most of them to St. Louis, Mo., based Helicopters Inc.
Helinet did retain its Los Angeles-based ENG contracts, however, and today operates helicopters for three local TV stations out of its hangar at Van Nuys Airport (see sidebar, p.86). Helinet had several compelling reasons for retaining these contracts. First, it had strong, longstanding relationships with those stations that it wanted to preserve. Next, because these operations utilize Helinets main facilities including its in-house, U.S. Federal Aviation Regulations Part 145 maintenance facility their fixed costs are relatively low. Finally, it doesnt hurt that the ENG market in Los Angeles is the busiest in the U.S., with each Helinet ship flying between 150 and 200 flight hours a month, even in a sluggish economy. Remarked Giuffrida, If all markets were like L.A., wed probably still be in the ENG business. When Helinet made the strategic decision to withdraw from the ENG sector, it was left with a wealth of experience and know-how in broadcasting and downlinking. That expertise didnt stay idle for long: it became the core of Helinet Technologies, a subdivision company created in 2009 to provide aerial surveillance solutions for military and law enforcement customers. Helinet had begun to realize the public-service potential of its broadcasting expertise in 2005, when Purwin and camera operator J.T. Alpaugh took an HD-equipped helicopter and crew to the New Orleans area 24 hours in advance of Hurricane Katrinas landfall in Louisiana. The helicopter was filming over New Orleans within two hours of the storms passage, capturing the first aerial images of the devastated city. Helinet then immediately began distributing the footage to major news organizations at no charge an act that Purwin believes helped speed up the response to the disaster. That was probably one of the most important things Ive ever done in my life, Purwin said of his coverage of Katrinas aftermath. We feel as though our images caused politicians to flood the region with resources. In the days that followed, Helinet also provided real-time video imagery to the Federal Emergency Management Agency and its parent organization, the U.S. Department of Homeland Security; to the U.S. Coast Guard; and to local and federal law enforcement agencies, in addition to being the pool photographer for the major news networks. Katrina highlighted the value of microwave downlinking capabilities in incident response, and it encouraged a number of law enforcement agencies to begin investing in the technology themselves. Yet, many of these agencies found the process discouraging, as they were unable to get their downlinking systems to work well or reliably. Alpaugh, who is now VP of technical operations for Helinet Technologies and who has also been a reserve tactical flight officer with a Southern California law enforcement agency since 1995 described the situation. I was hearing from these guys on a continuous basis. . . . They were getting extremely frustrated. They asked me why they couldnt have pictures and equipment like the ENG operators. I immediately knew the answer: they [the law enforcement personnel] didnt have the experience or the know-how. Once again, Helinet saw an opportunity to provide a turnkey solution. Alan [Purwin] said, Why dont we take that [ENG] technology and bring it to law enforcement? recalled Ron Magocsi, who joined Helinet in 2004 and is now Helinet Technologies chief operating officer. Through its new subsidiary company, Helinet began offering law enforcement agencies a comprehensive solution for aerial surveillance and downlinking, much as it had once offered TV stations a complete technical support package. The response was just as enthusiastic, and Helinet Technologies now provides consulting, integration assistance, training and 24-hour technical support for a growing number of law enforcement agencies in Southern California and across the United States (see p.30, Vertical 911, ALEA 2012). Its literally changing the face of airborne law enforcement, said Magocsi, explaining that reliable downlinking capabilities have given commanders on the ground unprecedented abilities to assess and direct the response to major incidents. Theyre able to make the calls they need to in real-time. Now, law enforcement is no longer behind the broadcasting curve. Said Alpaugh, In a lot of ways, some of what were doing in law enforcement and public safety is surpassing the broadcast stuff. Its exciting to see that. In some areas theyre using new technology that even the broadcasters dont have. Helinet is a profitable company, but as its coverage of Hurricane Katrina demonstrated, it wont hesitate to sacrifice profits when theres a compelling public need. Its work for Childrens Hospital Los Angeles is one of the most striking examples of that charitable focus. Helinets association with one of the largest pediatric centers in the U.S. began when its operations manager of emergency services, Judy Sherif, approached Purwin with a dilemma. The hospital had a tremendous need for a dedicated, reliable helicopter emergency medical service, yet the families of many of its patients lacked the insurance required to cover the cost of helicopter transport. Consequently, the hospital couldnt afford to start an air ambulance service on its own it needed a helicopter provider willing and able to share in the financial burden. I really didnt know much about Childrens Hospital, said Purwin. But, it was such a compelling situation that I basically said, on the spot, What do you need? In 1998, Helinet began an air ambulance service for Childrens Hospital using an Agusta A109C. The model proved to be less than ideal, in large part because of its limited cabin space and payload capacity once it was equipped for the medical mission. A pivotal experience ended up changing the face of the program. As Purwin remembered, I was doing a flight once, and I didnt have the ability to take a parent along. The parent was wavering on whether to allow the flight, and while this was happening, the child died. Purwin resolved not to be put in that situation again: I said, Im going to go out and buy an aircraft thats perfect for this team. The perfect aircraft turned out to be a Sikorsky S-76A that Purwin equipped for medical transport and donated to the hospital. It has since been replaced by a newer S-76B, but the A model is still in service as a backup. Overall, Helinet collects insurance payments for transports when its able to, which helps the program break even. However, making money isnt the programs chief priority even according to Helinets chief financial officer, Stephanie Snyder. I love that we give back to the community, that we save peoples lives, she said. We do so many good things. Building on its experience with the model, Helinet recently added a third S-76, a B model, to its fleet, this one equipped for VIP transport. According to executive VP Giuffrida, however, the charter market it still comparatively limited in L.A., primarily because of a general shortage of landing zones: Even though traffic is kind of a nightmare, you dont have a lot of landing spots, either. Even so, he said Helinet still does a fair amount of business shuttling celebrities, chief executives and athletes, in part because We have many different landing sites throughout L.A. that not a lot of people have access to. The remainder of Helinets 18-helicopter fleet consists of Eurocopter AS350 AStars, AS355 TwinStars and a Bell JetRanger that are selectively utilized throughout its various operational sectors. To fly those 18 ships, the company currently employs 22 full-time pilots, all of whom joined the company with at least 2,000 hours of flight experience. According to chief pilot Brad Jensen, new hires typically start out at Helinet by flying ENG in the companys AStars. From there, they can move on to movie and charter work, and eventually into the Childrens Hospital program. Its kind of a progression, he said, adding that the diversity of Helinets operations is good for our pilots its stimulating and it keeps them sharp. Helinets high minimum experience requirements and progressive career paths are key elements of its approach to safety. Another aspect is training, with pilots receiving extensive training either in-house, or, for the S-76 pilots, at FlightSafety International. We take training and safety extremely seriously, said Jensen. Helinet also staffs a 24-hour dispatch center that tracks every flight using satellite flight following (dispatchers are also the ones who co-ordinate organ transplant flights at all hours of the day and night). 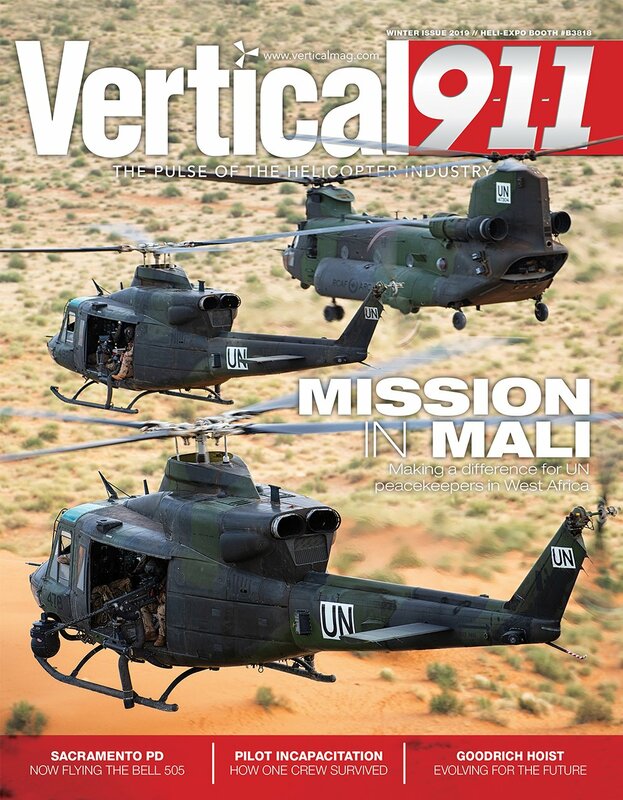 Like most operators, Helinet saw a drop off in helicopter operations during the recession. Remarked Purwin, If you can maintain what you have, thats the new up in this environment. Thanks to its diversified business model, however, the company as a whole has managed to thrive during the downturn. Were fortunate, said CFO Snyder. In challenging times, weve been able to be very successful. Thats allowed us to grow and invest at a time when other helicopter operators were cutting back. One reason why Helinet may be so good at seeing and seizing new opportunities is because Purwin has fostered an environment in which employees have room to thrive. Said Snyder, We have a really talented group of people here, and Alan gives us the freedom to do what were good at. Purwin concurred, Its not an authoritative culture around here. . . . We just have a great team and great people. Because Helinets talented, highly motivated team isnt afraid of change, there may be more changes in store for the company in the future. And, for an operator that is on technologys leading edge, thats not an intimidating prospect its an exciting one. 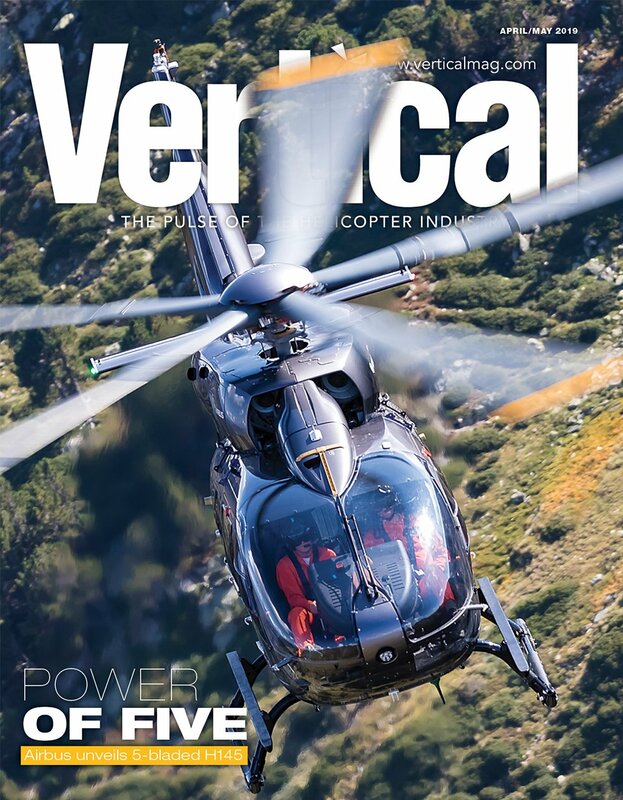 In fact, as the industry continues to evolve, it seems likely that Helinet will be right there with it, bringing the same level of passion and commitment it has brought to its operations for the past 25 years. Elan Head is an FAA Gold Seal flight instructor with helicopter and instrument helicopter ratings. She holds commercial helicopter licenses in the U.S., Canada and Australia, and is also an award-winning journalist who has written for a diverse array of magazines and newspapers since the late-1990s.